The Holt Antique Brass 6 Arm Chandelier by Heathfield & Co is expertly crafted in either an antique brass or nickel finish. The clean, crisp lines offer ultimate versatility suiting both modern and traditional homes. The angular arms and subtle detailing are complemented by six black satin shades with gold pvc lining. 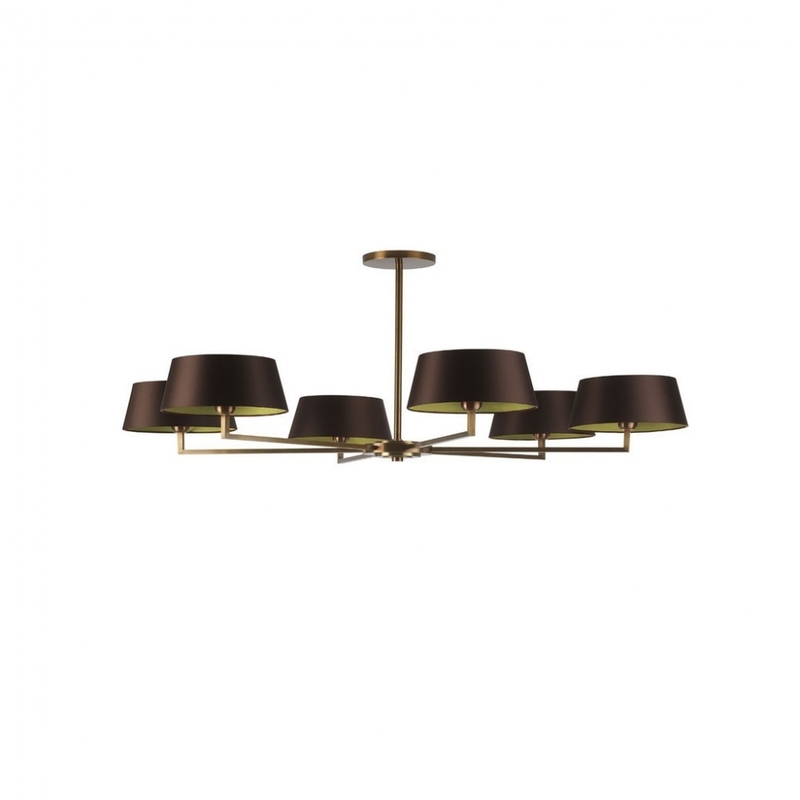 This statement light has a timeless appeal creating a sophisticated focal point within a bedroom or dining room. A wide selection of luxurious fabric shades and colours are available. Make an enquiry for more information. Priced for 10" French Drum shade in silk with white PVC lining. Please contact us for other options.